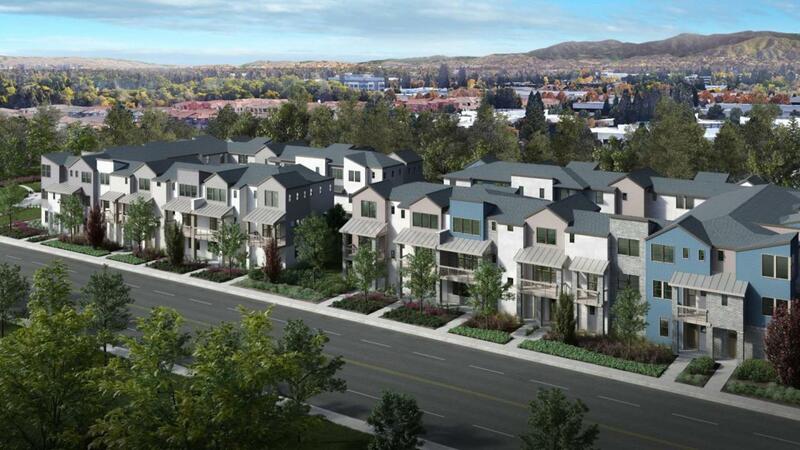 Nova at the Vale Homesite 1 is an end unit with adjacent to green space. The Residence 7 is the most considerable in size at Nova with it's 4 bedroom/3.5 bath layout. Enter the first floor from your covered porch or 2-car garage and you will find the 4th bedroom suite with walk-in-closet. The gourmet kitchen features a a 9 foot island perfect for entertaining and a secondary dining space. The living and dining rooms are roomy and bright with lavish windows and an exterior deck. There is peace and comfort found in the space offered on the third floor with two charming secondary bedrooms, a secondary full bath with double sinks and the private master suite. The master suite is filled with light from generous windows and features a large walk-in-closet and master bath with walk-in shower. This home is under construction with a Winter 2019 move-in. Listing courtesy of Veronica Roberson of Taylor Morrison Services Inc.